Online Sales ends Friday at 11:00am. General admission tickets are $30 cash at the door. The 2016 World Tour for Tina Malia’s “Music From The Heart of The World” performance will stop on Friday, May 20, in Sarasota, FL at the beautiful Unity of Sarasota. 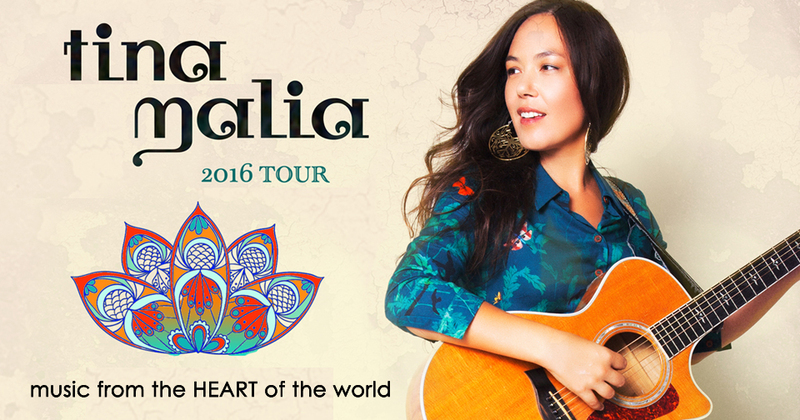 Singer/songwriter/ producer/ instrumentalist Malia, will play music designed to wrap her audience in the sublime beauty of the heart and enliven the spirit. 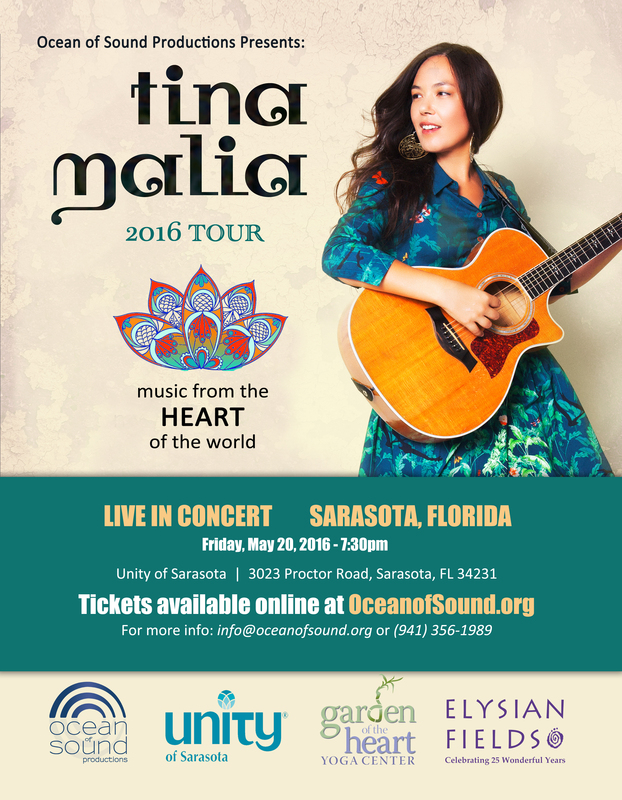 Tina Malia’s magical voice and profound gifts as a multi-instrumentalist, composer and producer have enabled her to span a multitude of musical genres, from devotional mantras to dream pop to world. Her own exquisite catalog is complemented by studio and live work with iconic artists India.Arie, Deva Premal and Miten, Bassnectar, Jai Uttal and Kenny Loggins. Thrilled to be visiting her fans and friends on the East Coast again after several years, Malia looks forward to bringing her musical inspiration to this side of the country. “Music, through its sheer beauty, has the power to free the heart, uplift the soul and connect communities all over the world. When we gather together to sing, dance, pray and remember our connection to life and one another, we are touched by the simple act of love moving through sound. I can not think of a better way to spend my time than sharing this joy,” reflects Malia. Tina Malia is a beloved pioneer in a growing community of people around the world dedicated to residing in harmony with the Earth, and expressing it through art, health, education and music. Tina's acclaimed catalog of self-produced albums includes Shores of Avalon, Jaya Bhagavan, The Silent Awakening, The Lost Frontier and most recently, Bridge to Vallabha. NOTE: General admission tickets are $30 at the door.